I was a cold calculation. 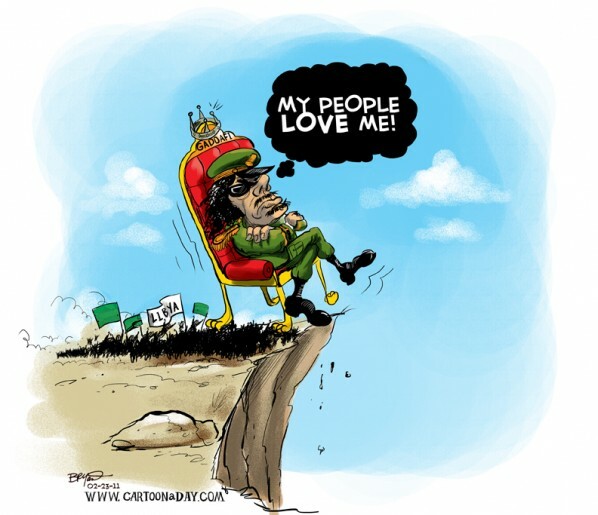 Al Gaddafi was going to introduce a gold based African currency that would have rivaled the Petrodollar - so the Globalist Régime murdered him and destroyed his country as a lesson to anyone else who might think of leaving the Petrodollar. No- it was the Libyan people who removed the tyrant from office....and rightly so! Yes, attention seekers mainly, bordering on the deranged, it has been said. Yes, Libyans are crying out for the happy days of the Socialist Jamahiriya. Some parts of Libya haven't had electricity or running water since the Brother Leader was murdered by Zionist assassins. 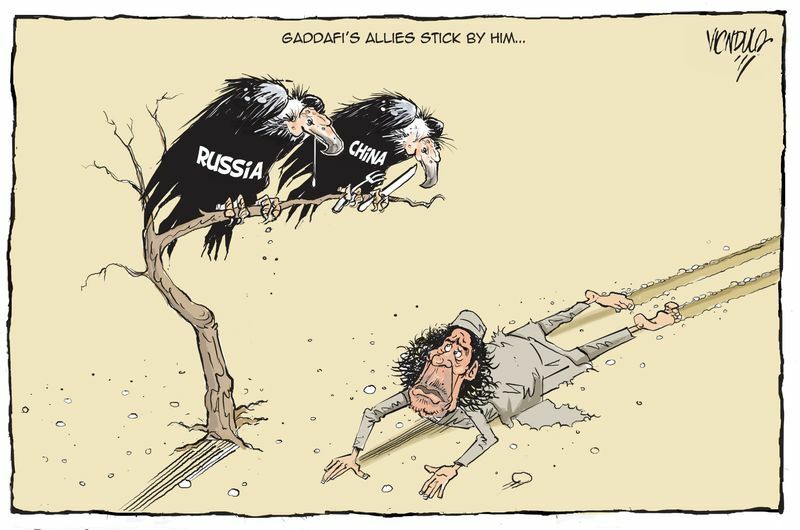 Russia and China did betray themselves when they failed to defend Libya's sovereignty against Zionist invasion. He choose to go down the ship as a true captain. Seriously take off the Zio-goggles. A certain Dmitry Medvedev ran Russia at the time and he comes from a certain (coughs) background. Putin did not hold the power at the time because of number of terms rules. China is very mercenary, always has been and weighs every situation in a cost benefit way - in truth if i had to live under Tel Aviv or Beijing i would probably choose Tel Aviv. Han-supremacism is as horrific as chosen-supremacism in it's consequences and they go about their ruthless business with an industrious approach. The Ziobanksters stole 144 tons of gold from the Libyan National Bank. How long do you people think you're going to get away with this genocidal behavior?